The Long-Term Value Project was launched in 2016 to bridge the gap between Corporate Responsibility (CR) and Investor Relations (IR). IR and CR have a shared ambition: to create sustained, long-term value for a company’s shareholders and stakeholders. The Long-Term Value Project is seeking to identify barriers and solutions to closer cooperation, enabling a mindset shift within corporations. Working in partnership with S&P, we published our first report Getting on the Right Track in 2016. This showed the scale of the challenge: over a quarter of companies studied made no reference to long-term value creation in their external reporting to investors. For the three quarters that did mention the terms, many struggled to articulate the importance of ESG factors for long-term business success. Long-term thinking is still not the norm for many businesses. The external disconnect between companies and their investors. The resulting lack of alignment on the financially material ESG factors between both parties’ means there is very limited disclosure of these issues in traditional corporate communications to investors. IR: meets CR: Do Investors Care About Sustainability? On 21st February 2018, we welcomed over 140 IR and CR professionals to our half-day conference “IR meets CR: Do Investors Care About Sustainability?” at the Great Hall at One Moorgate Place, kindly hosted by the ICAEW and in partnership with the Investor Relations Society. 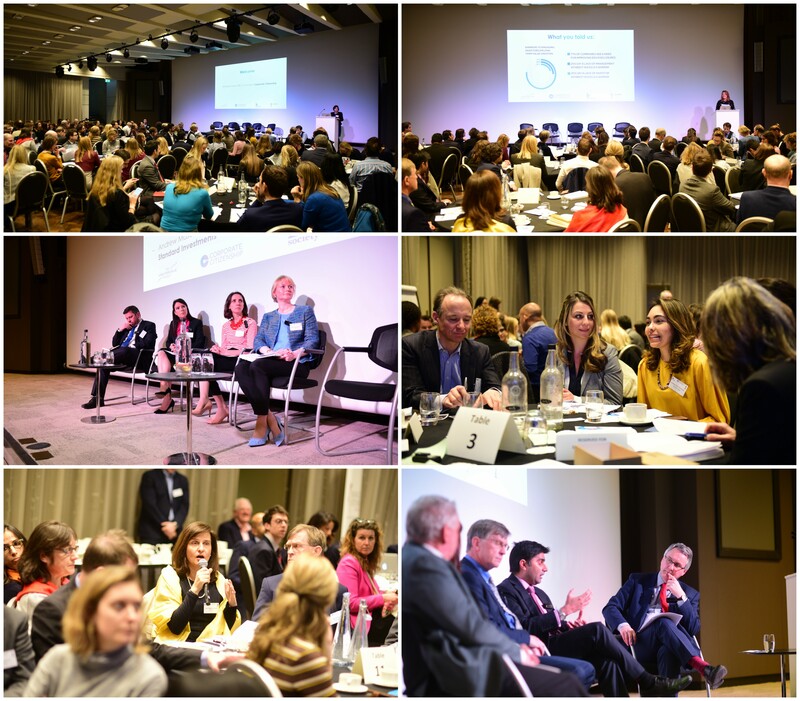 Panel questions and roundtable discussions focused on identifying the practical steps for companies to better engage investors on environmental, social and governance (ESG) performance. Click here to view our summary of the event.